There has been a rise in the number of smaller independent dealerships offering to sell their businesses to larger chains, according to dealer profitability specialist ASE. The organisation offers a Dealermatch function, which helps owners sell their retail businesses to larger rivals looking to expand their stock of sites. It explained that it is seeing a marked increase in the number of smaller businesses who are ready to exit the car retail business for a number of reasons, which could continue to affect the market throughout 2017. Motor Trader spoke to Lookers, the large car dealership chain, which also claimed to have seen this trend from smaller dealers. Lookers chief operating officer, Nigel McMinn, explained that its smaller dealers were approaching the business in larger numbers in order to quit the industry. He told Motor Trader: “In the last 12 month there are more companies exiting. It is a combination of factors. Some of it is due to the capital requirements, dealership upgrades, corporate identity, increasing capacity and technology. 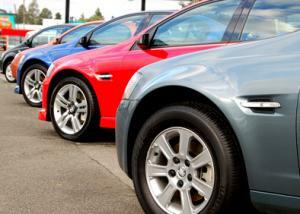 A lot of owner drivers find the capital requirement quite challenging. McMinn added that manufacturers are putting an increased amount of pressure on owner dealers to comply with standards that they want to set for their entire dealership network. These standards can apply to everything from training to systems used in the purchasing and selling process. This is proving too demanding for some dealer owners who have not seen this level of control demanded despite having sometimes worked in the industry for decades. Dealers who want to stand the best chances of survival in a marketplace with added pressures from manufacturers need to ensure they are fully insured, with a dedicated motor trade insurance policy, in order to protect their business and their stock of vehicles should they be impacted by criminal damage, flood or fire, for example.